I'm average height by the way. Do you ever actually use the rev-counter? Nope, but it bloody irritates me that the one thing is in front of the other. Perhaps you should seek professional help. I'm sure your local BMW will work long and hard to rectify this terrible problem. At much cost to yourself of course. Or maybe you could just ride the bike and enjoy it without ever knowing at what speed your engine is revolving. Which awesome steed is it? Hello, I have the same issue on a GS 1200 LC. It’s “normal” even if not ideal. I’m 5’10”. I don’t find that it bothers me now as the engine is so tractable / rideable on the GS that I don’t need to worry about the revs ( as I would on a smaller capacity sports bike ). However, I agree with you that it’s a poor design where the OEM sat nav obscures the top 1/3 of the Rev counter ! But you could also say the speedo is hard to read too ... even without the sat nav obscuring it. So overall the clocks are a weak point on the GS ... hence the TFT option on modern versions. The plus point with the GPS is you can configure it really easily and see speed on the screen, and control the GPS with the ring on the left bar. That’s neat. Ignore the usual knuckle scraping goons, as they expect everyone to know everything the second they buy a GS/GSA. 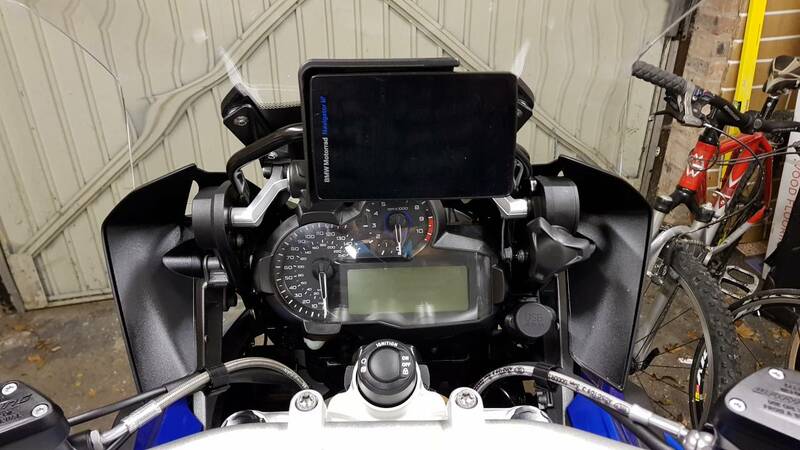 Yes the sat nav obscures a part of the rev counter, and yes, it's another BMW shite design......... But you do get used to it unless you have OCD. It annoyed me for around a month..... after that all was fine. I only ask as you might be better served asking the question in a section dedicated to the bike, perhaps? Who knows, one of the bods who frequents the section might have hit on a solution. Thanks fellas, as said, the more I ride it the less it bothers me. I can see why the TFT has been popular though, the dials are cluttered at best and with the satnav they seem redundant. It's a 2017 Rallye by the way. You could always take your photos from lower down?? Glad that you are less "bovvered" than before. Perhaps its time to upgrade to a 1250.